When I think of Tucson, Arizona images of the Wild West often flash through my mind. In a more modern perspective, I associate Tucson with golf courses and sunny skies. What most people do not realize is that Tucson is very rich in aviation history, particularly, military aviation history. 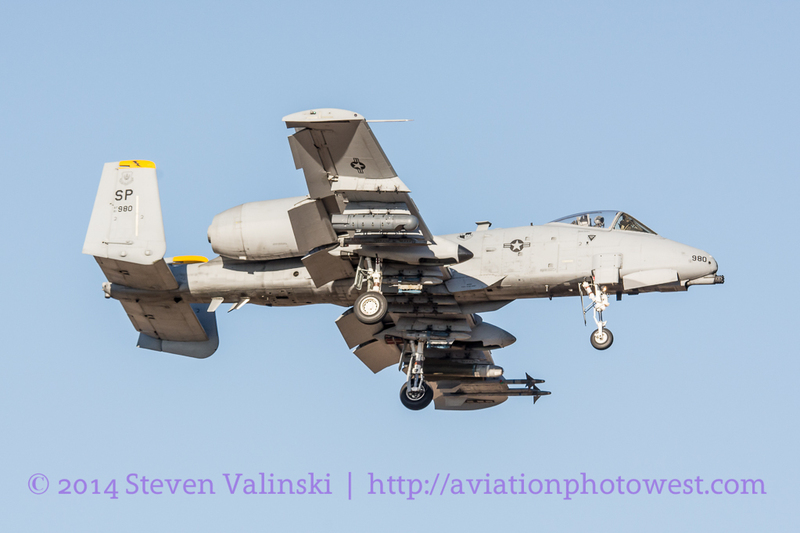 With Davis-Monthan Air Force Base, Tucson International Airport, The Boneyard (309th Aerospace Maintenance and Regeneration Group (AMARG)), and The Pima Air and Space Museum, and more, there are plenty of subjects to keep an aviation photographer engrossed and exultant. 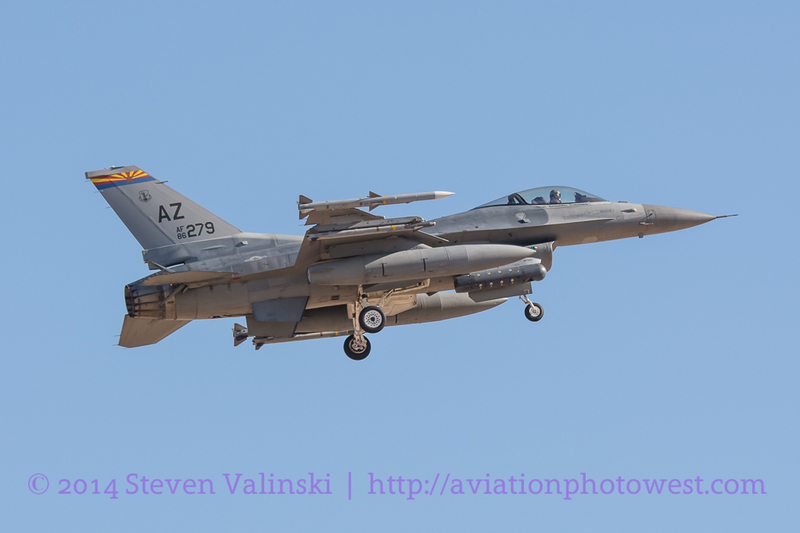 Tuesday, I had the opportunity to spend the day down in Tucson with a great group of fellow aviation photographers. Aviation photography can be very exciting, but you can also spend hours waiting for aircraft which can often seem like exercise in futility. When you are in the company of wonderful people with common interests, those lulls in the action can be enjoyable. The day began at Tucson International Airport (TIA, TUS, KTUS). 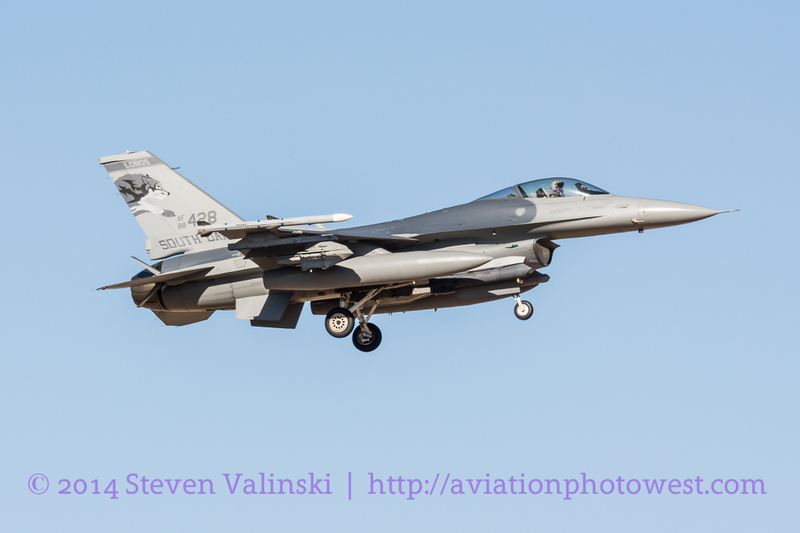 Aside from being a commercial airport, TIA hosts the Tucson Air National Guard Base which is home to the 162d Fighter Wing (162 FW). 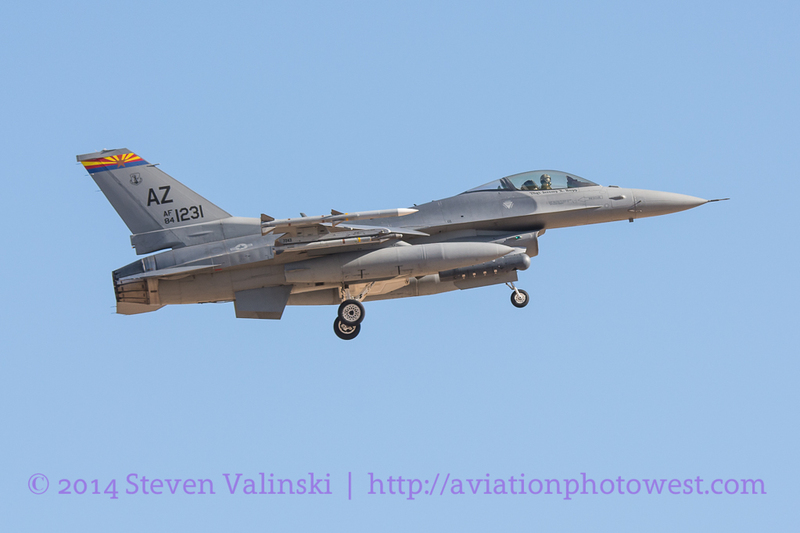 The 162d FW contains the largest Air National Guard fighter unit in the United States with over 70 aircraft. 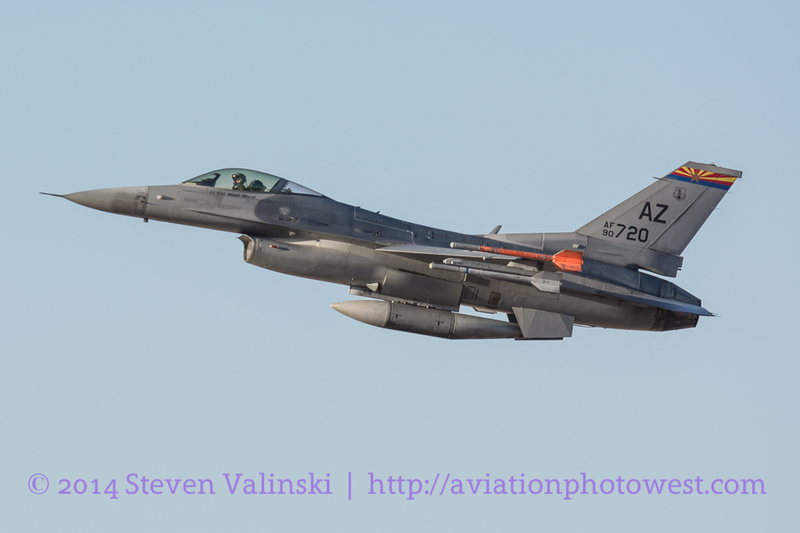 As a training command, the 162d FW is responsible for training aviators, flying the F-16 Fighting Falcon, for the Air National Guard, Air Force Reserve, NATO/Allied/Coalition, and, as a Formal Training Unit (FTU), regular Air Force. 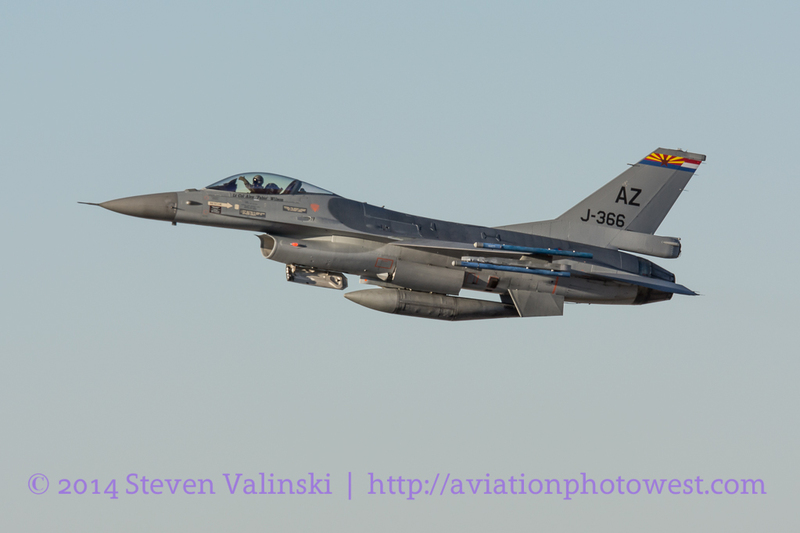 Currently, the Royal Netherlands Air Force (RNLAF) pilots are the NATO representative training with the 162d FW. 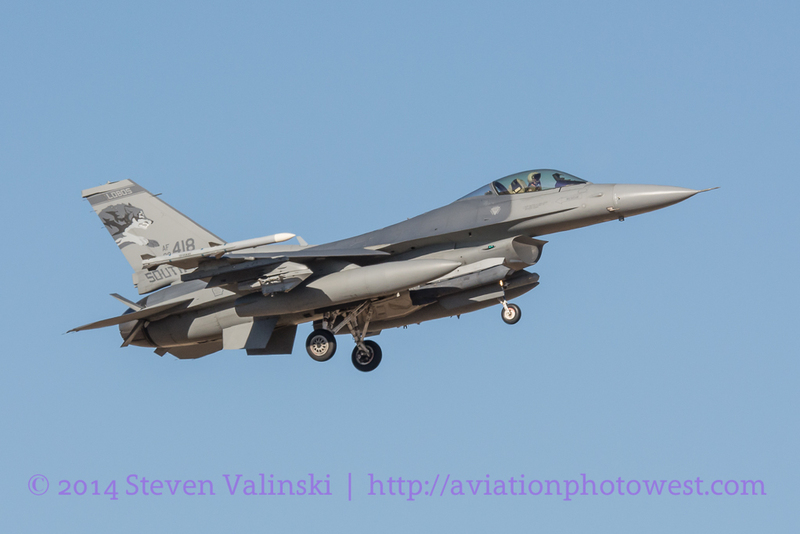 In addition, the 162d also hosts the ANG AFRC Command Test Center (AATC) which is responsible for F-16 Operational Flight Program (OFP) testing along with testing a variety of other aircraft as needed. For example, the AATC currently operates an A-10 detachment out of Davis-Monthan Air Force Base with the support of the 917th Fighter Group (917 FG) out of Barksdale AFB, LA. It was a busy early morning at TIA. 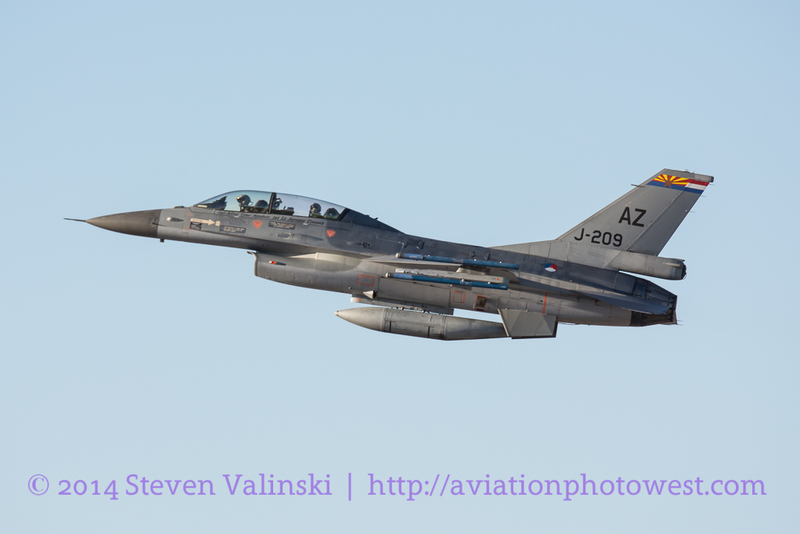 The AZ ANG, AATC, and the RNLAF F-16’s were launching regularly. We were able to catch some of the departures with decent lighting conditions before moving to another location to catch arrivals. I have posted an Aircraft Observation Guide (spotters guide) for TIA here which points out some of the better locations for observation/photography. 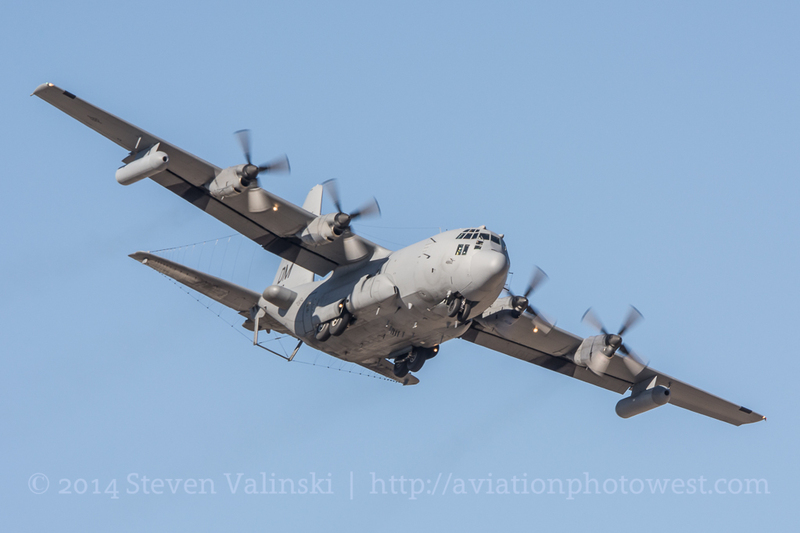 We were able to photograph many of the arrivals we saw depart earlier. 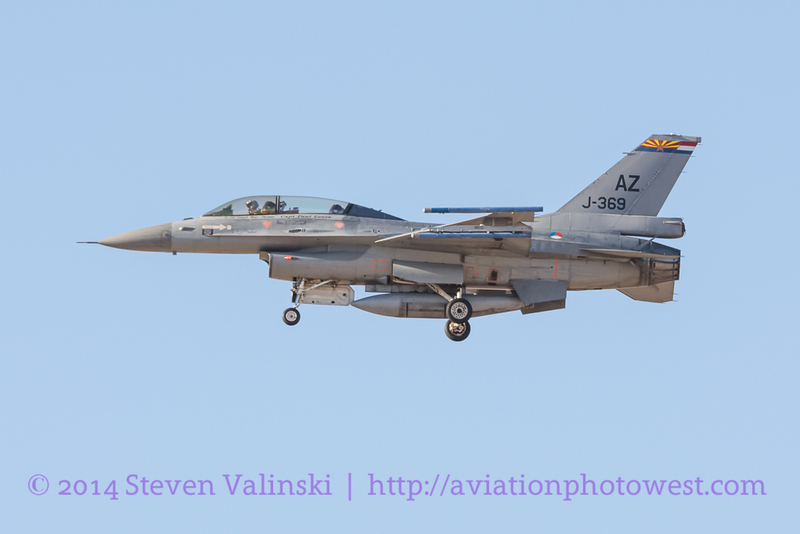 These aircraft included a nice mix of F-16’s mixed in with some commercial traffic. For me, often the highlight at TIA is photographing the Dutch aircraft. 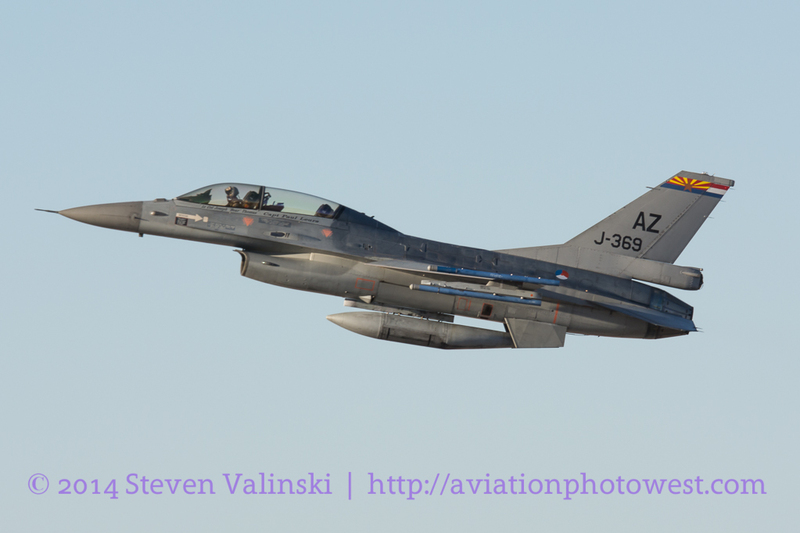 The Dutch pilots often position their Fokker-made Vipers with nice angles when they see aviation photographers. In some cases, you can expect a wave or a “thumbs up” from the pilot. Aircraft spotting and aviation photography is more commonplace in the Netherlands which has created a positive relationship between the pilots and the spotters/photographers. 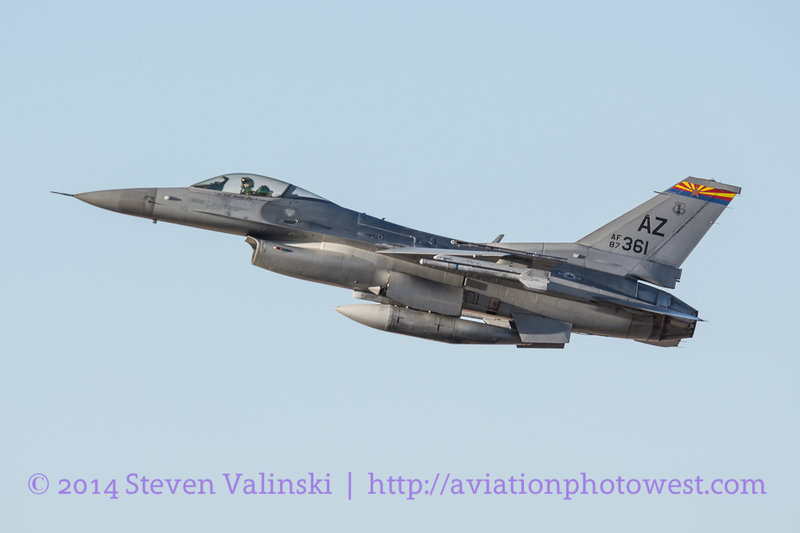 In the United States, there continues to be some post-911 tension and aviation spotting/photography can be a controversial subject. In any case, we had a good morning at TIA. 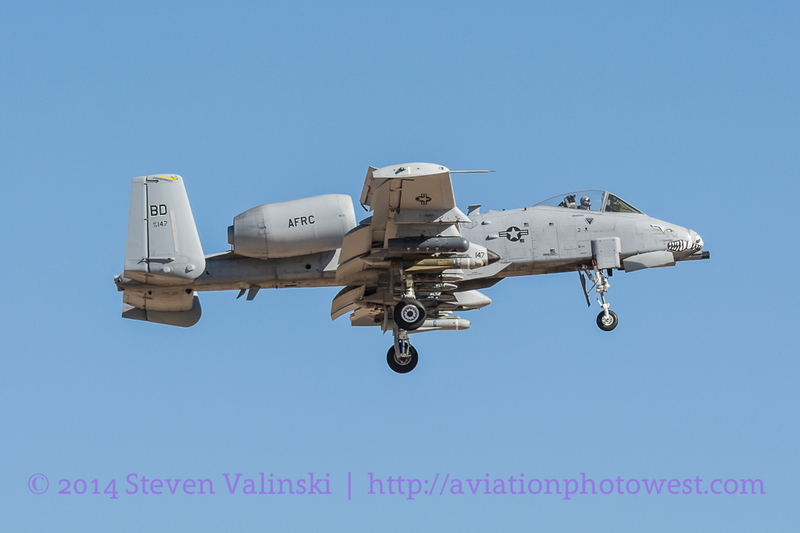 When the position of the sun did not support photographing from our arrival location, it became time to travel to Davis-Monthan Air Force Base for part deux of the journey to Tucson. 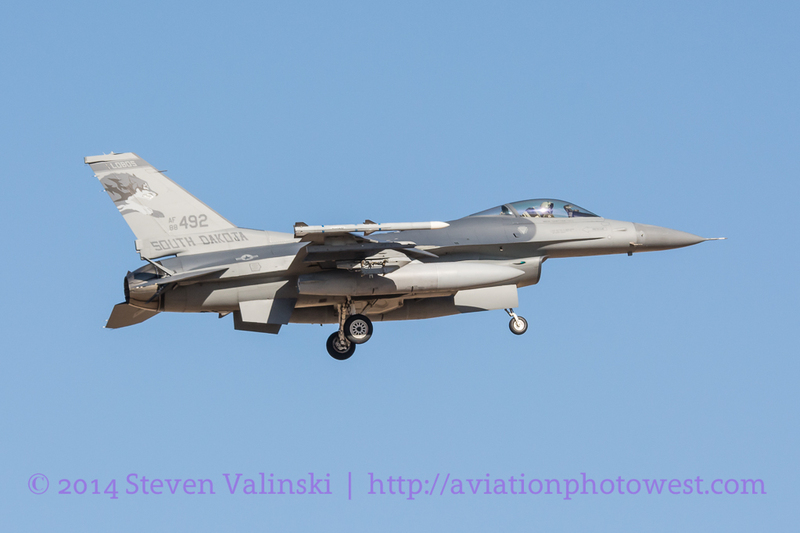 Davis-Monthan Air Force Base (DM) is home to the 355th Fighter Wing (355 FW). 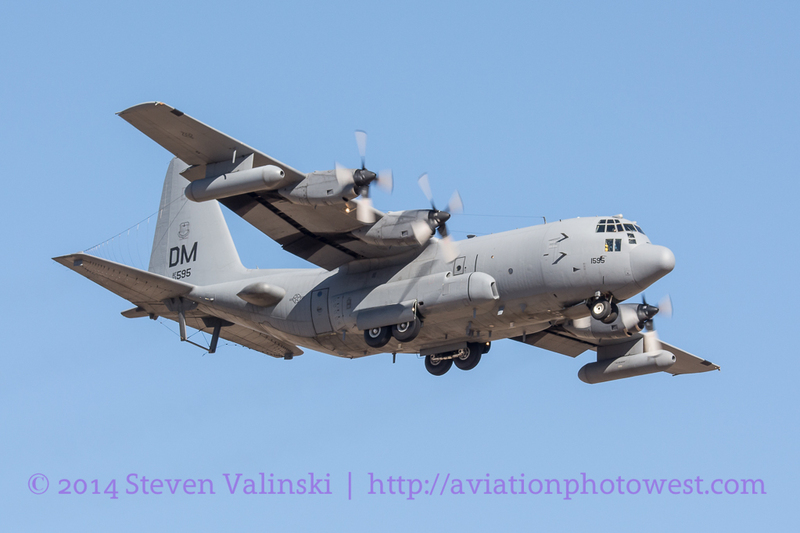 In addition to the 355th FW, The Twelfth Air Force, the 563rd Rescue Group, and The Aerospace Maintenance and Regeneration Group (AMARG) are all based out of DM. 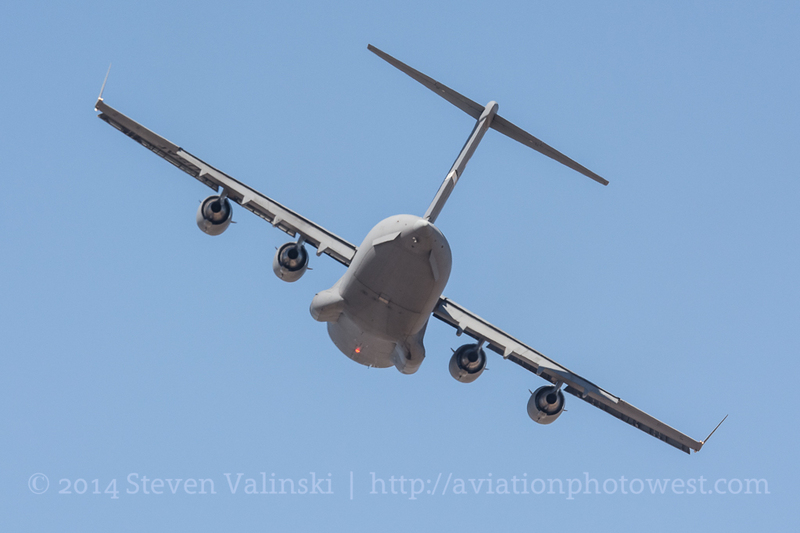 This can make DM a good place for observing/photographing aircraft. 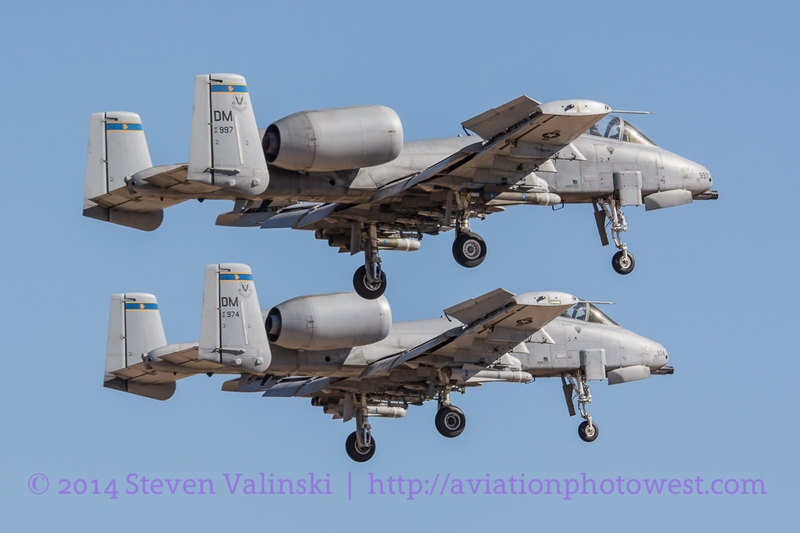 With several squadrons of Fairchild Republic A-10 Thunderbolt II’s (Warthogs) and Electronic Combat-ready EC-130’s the daily activity can be abundant. What makes DM even more interesting is the potential for unexpected aircraft. 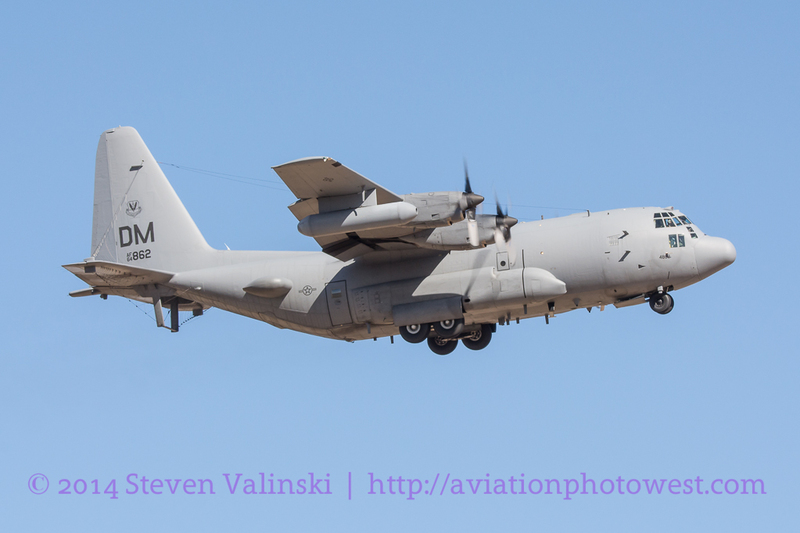 Because AMARG calls DM home, aircraft from all branches of the military often take their last flight into DM where they can be neutralized and laid to rest in the nearby “Boneyard”. Also, in the winter months, DM can be host to several “snowbird” squadrons. These snowbird squadrons are typically based in states that have cold winters. 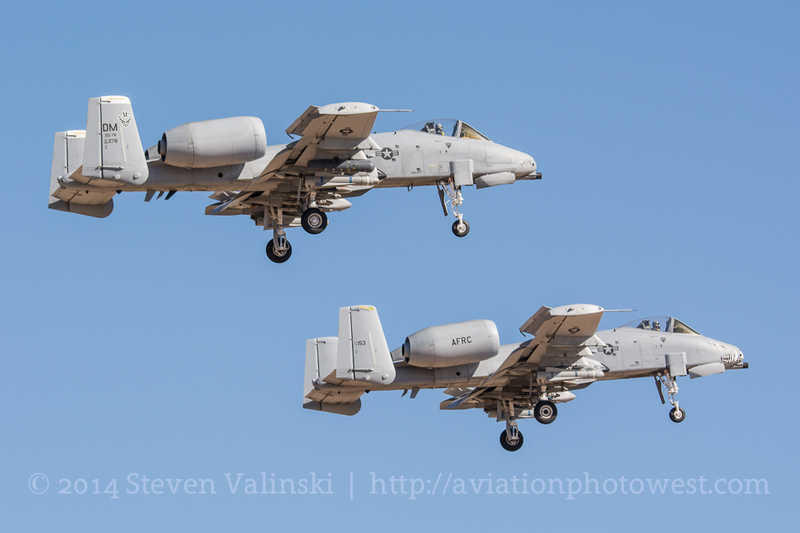 The mild Tucson winter climate provides a great opportunity for these squadrons to get a lot of training sorties in during the winter months. 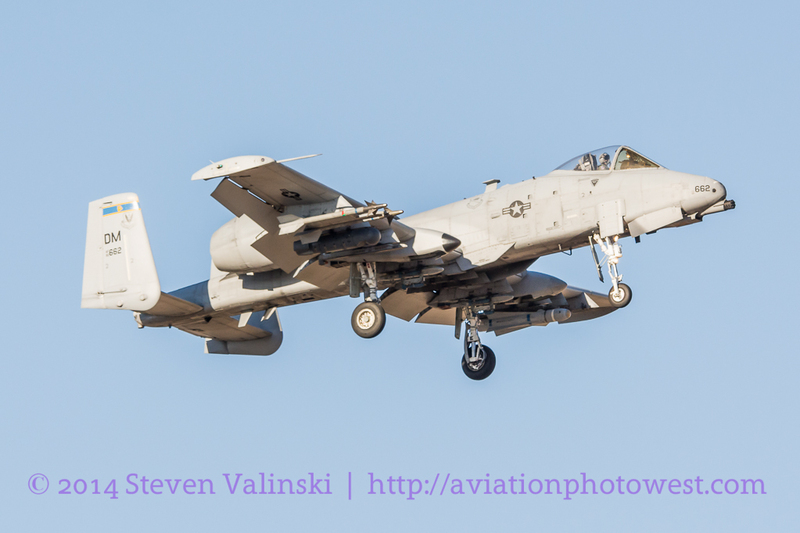 For the most part, it was a very good day observing/photographing aircraft at DM. 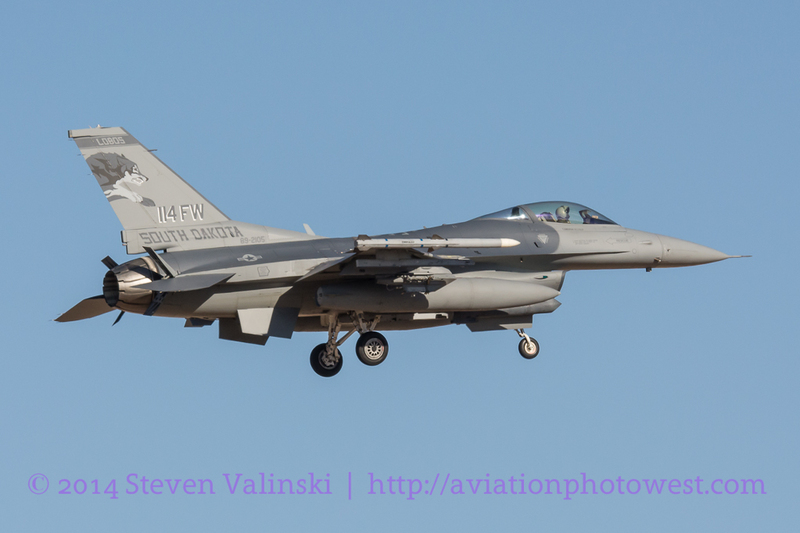 The current snowbird squadron is the 114th Fighter Wing which is part of the South Dakota Air National Guard based out of Sioux Falls, South Dakota. 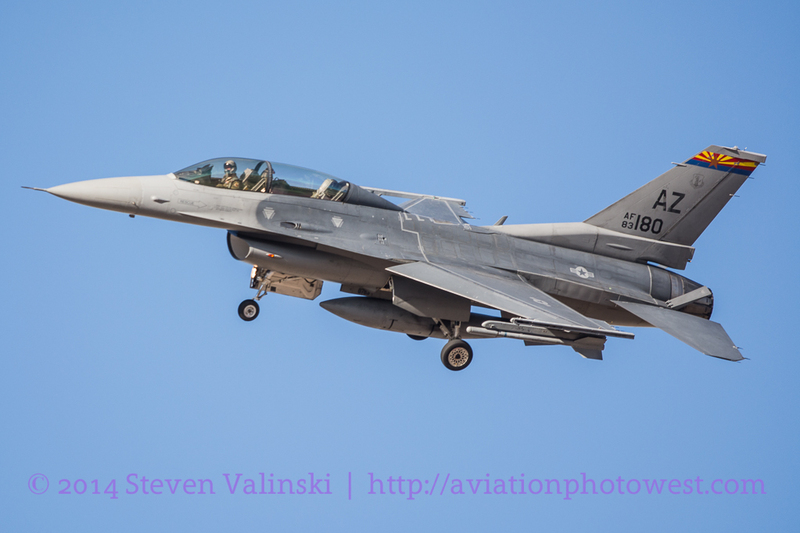 We were able to catch several of their F-16’s arriving back to DM after their training sorties. We also caught plenty of local traffic. 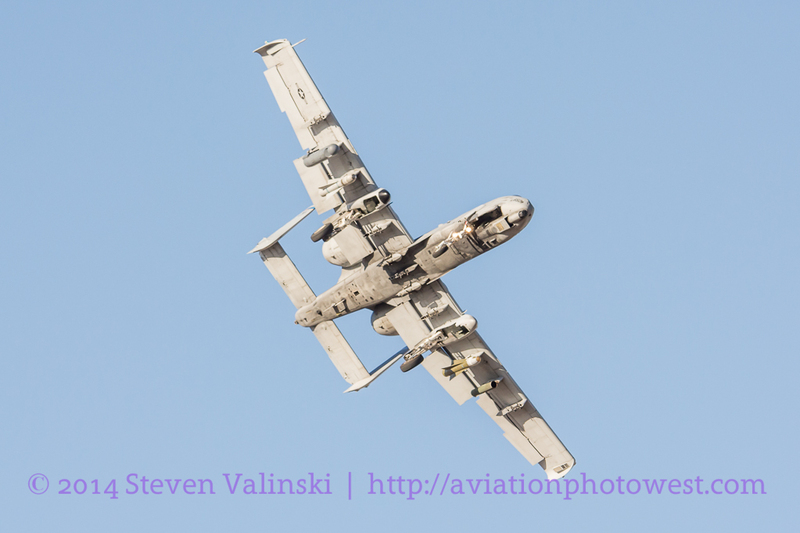 DM, Barksdale AFB, and Spangdahlem AFB marked A-10’s were running regular sorties along with a few EC-130’s. We also saw several aircraft from the DHS- U.S. Customs/Border Patrol. They typically fly reconnaissance aircraft and helicopters. 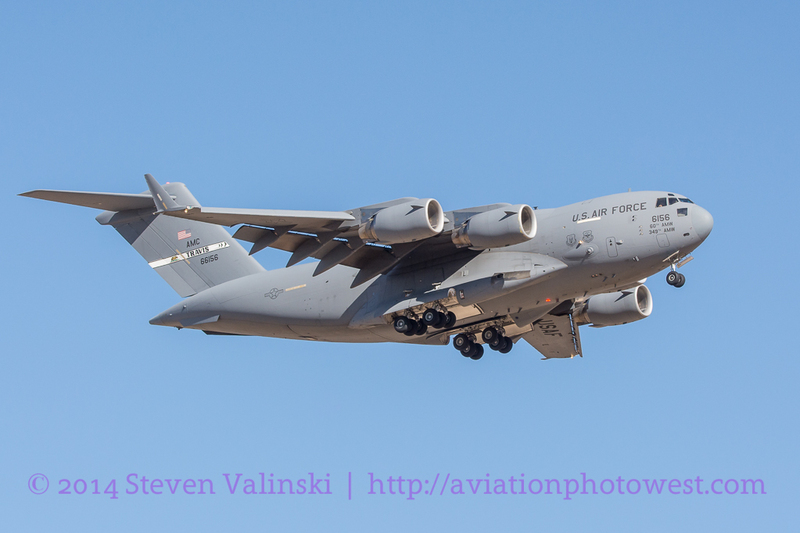 Our “nice surprise” of the day was a Boeing C-17 Globemaster III from Travis AFB in California. This mammoth had us scrambling for position to be able to properly frame the large aircraft as it arrived. 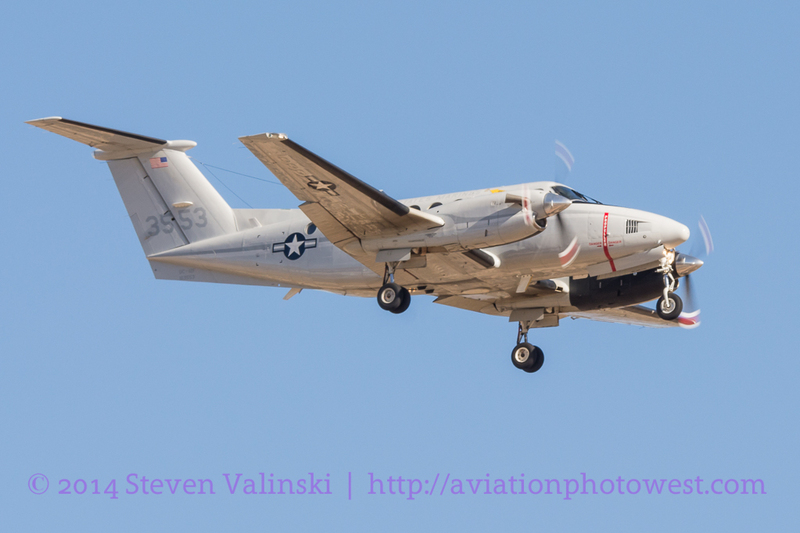 Another “plus” was the arrival of the Arizona ANG alert aircraft. 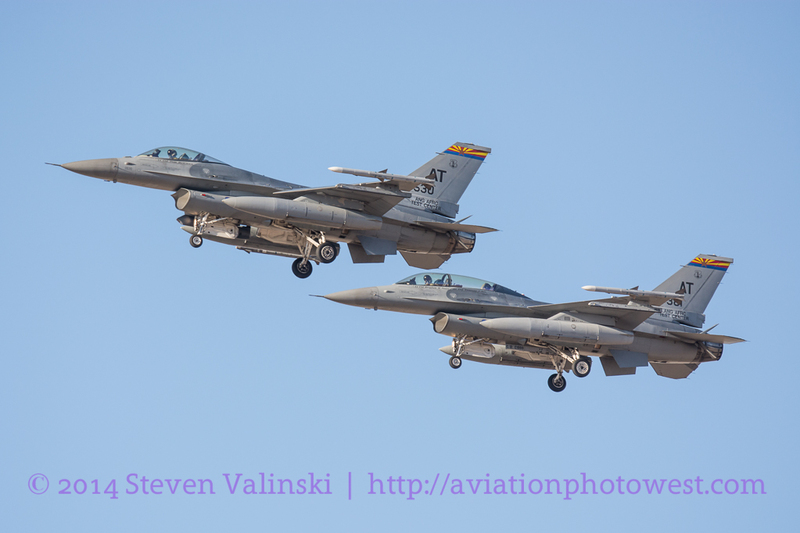 These are F-16’s that are designated for alert duty and carry live ordinance. 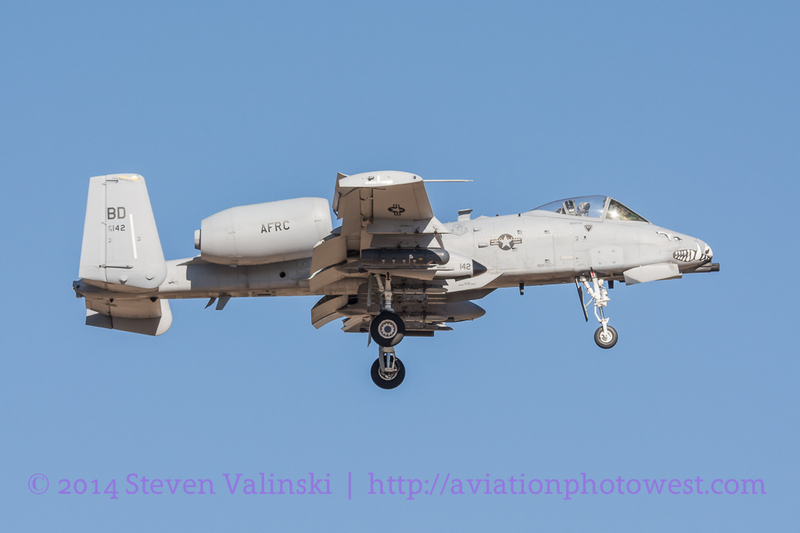 The Tucson-based guard unit is responsible for 225,000 square miles of the Southwest United States with 24/7 preparedness, so these aircraft are a vital part of U.S. security.